Erwin Wurm was published in conjunction with his first solo exhibition in the United States and focused on representations of the ephemeral. 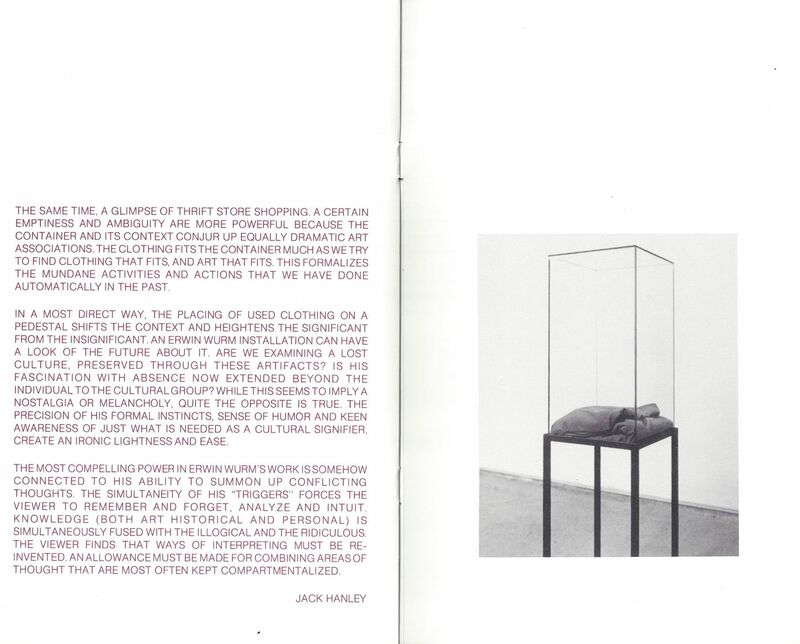 The exhibition was held at Trans Avant-Garde Gallery in San Francisco (the predecessor of Jack Hanley Gallery) from November 5-30, 1991. 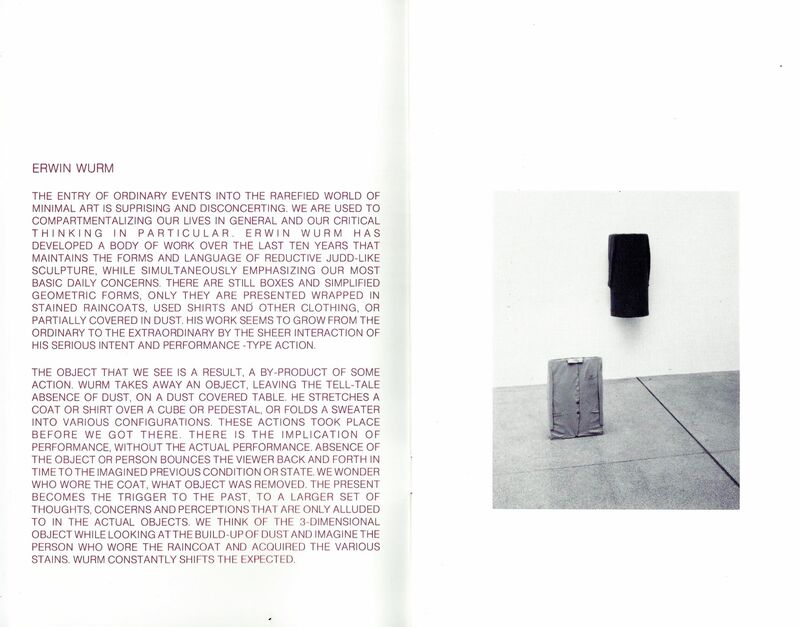 Essay by Jack Hanley and includes six black and white photographs of Wurm's installation at Trans Avant-Garde Gallery. 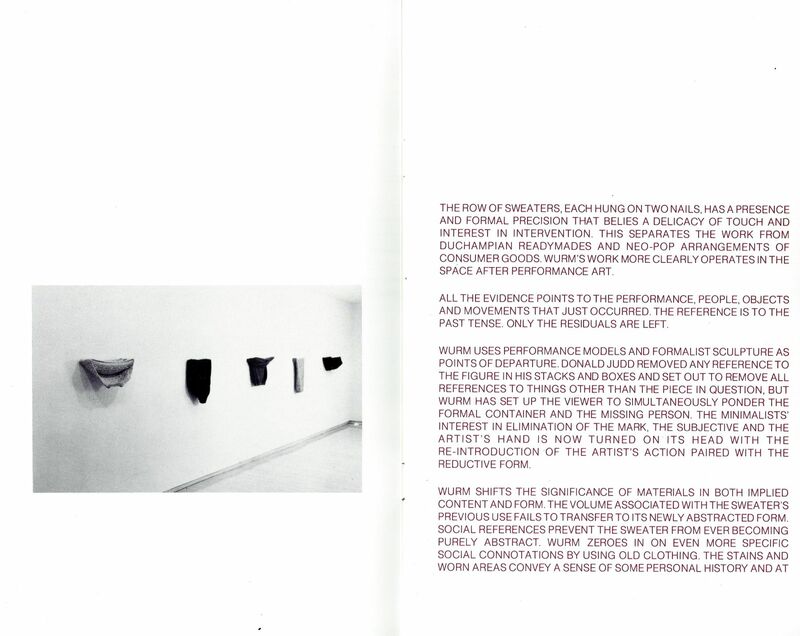 10 pages, Published by Trans Avant-Garde Gallery, San Francisco. Red text with black and white photographs printed on white cardstock. Edition of 1000.